This lovely little plaque comes with its own stand and a hook for hanging. 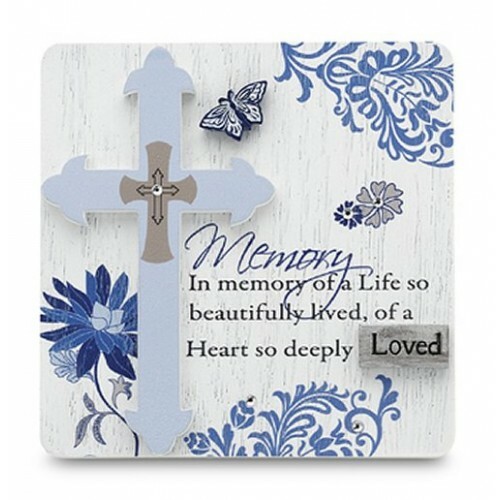 Embellished with a cross and butterfly and a pewter tile with 'Loved'. Wonderful on its own or to add to any sympathy basket. "In memory of a Life so beautifully loved, of a Heart so deeply Loved". Plaque measures 4.75 x 3.25 inches.